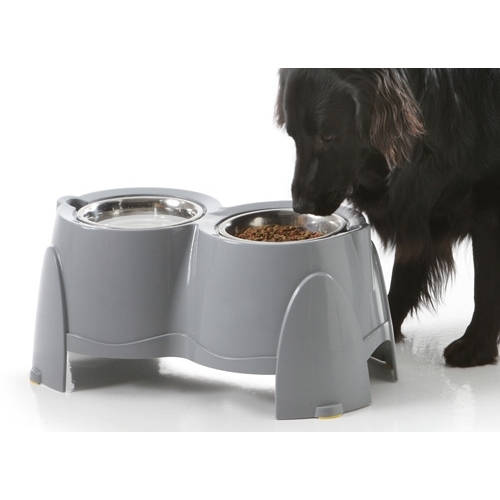 Large raised feeder for dogs. Particularly suitable for dogs with digestion problems or those with joint problems. Measures 61 x 35 x 28 cm and includes two 1500ml stainless steel bowls for food and water.